The Brewers Association (BA) is the not-for-profit trade association dedicated to small and independent American brewers, their beers and the community of brewing enthusiasts. 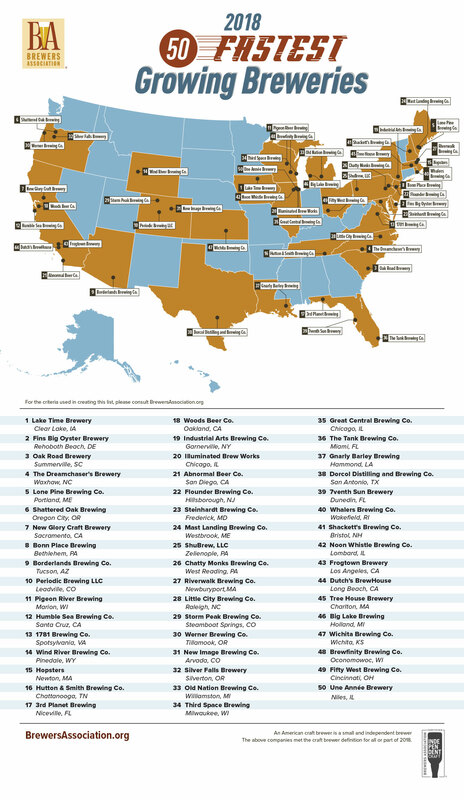 The BA represents 4,800-plus U.S. breweries. The BA’s independent craft brewer seal is a widely adopted symbol that differentiates beers by small and independent craft brewers. The BA organizes events including the World Beer Cup®, Great American Beer Festival®, Craft Brewers Conference® & BrewExpo America®, SAVOR™: An American Craft Beer & Food Experience, Homebrew Con™, and National Homebrew Competition. The BA publishes The New Brewer® magazine and Brewers Publications® is the leading publisher of brewing literature in the U.S. Beer lovers are invited to learn more about the dynamic world of craft beer at CraftBeer.com® and about homebrewing via the BA’s American Homebrewers Association® and the free Brew Guru® mobile app. Follow us on Facebook, Twitter and Instagram.